Maldives has kickstarted a project to develop a brand new seaplane terminal at the country’s main airport, making it the largest seaplane hub in the world. 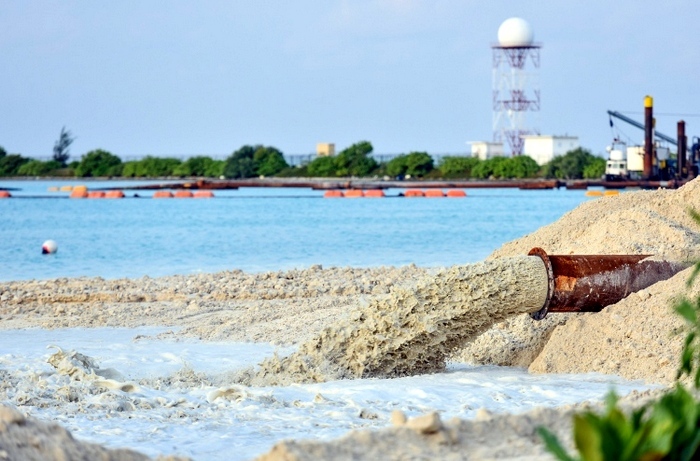 State owned Maldives Airports Company Limited (MACL), which manages the main Velana International Airport, commenced the project on Wednesday. A ceremony held at the airport marked the beginning of reclamation of land for the construction of the new terminal. The new seaplane terminal is to be developed on the reclaimed lagoon behind the air traffic control tower on the eastern side of the airport island of Hulhule. The new terminal will sit on 18,000 square metres of reclaimed land and the accompanying seaplane hanger will be built on an additional 14,000 square metre reclaimed land. Economic minister Mohamed Saeed, who attended Wednesday’s ceremony as the chief guest, told the attendees that the new seaplane terminal would be the largest in the world. The new seaplane terminal along with a new runway — both being built by Beijing Urban Construction Group (BUCG) of China — are expected to be finished by mid-2018, he added. The new seaplane terminal is part of a USD800 million mega project to expand and upgrade the Maldives’ main gateway. The seaplane terminal currently in operation has to be moved in order to make space for the new runway and a new terminal. Seaplane is the preferred mode of transport between the main Velana International Airport and dozens of resorts, especially those located in outer atolls. 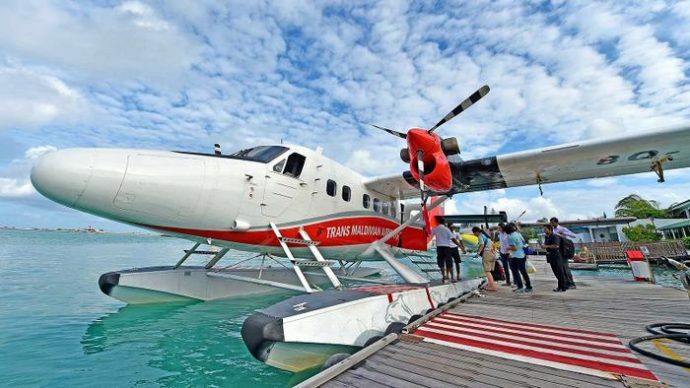 Two companies handle seaplane operations; flagship carrier Maldivian and privately run Trans Maldivian Airways (TMA). TMA, which is controlled by US venture capital firm Blackstone, operates an all-amphibian fleet of 47 aircrafts making it the largest seaplane operator in the world. Maldivian has a fleet of 10 seaplanes and serves six resorts. The seaplane operators are investing heavily in expanding their operations, especially their fleet. The expansion comes in-line with growing tourist arrivals and increasing bed capacity due to the opening of dozens of new resorts in the Maldives.